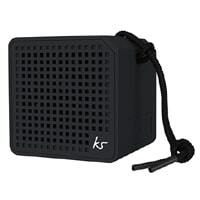 KitSound is giving away free products including their Boxi MINI Bluetooth Speaker so you can try them out and give feedback about how you like the quality of their audio products. Follow our link and fill up the form with your details to receive yours. Click on “GET IT HERE” button and then follow instructions given above to register as a product tester and if you are selected, you will receive their products for free.